Platform games have always been adored by gamers. Characterized by excessive climbing up/down, jumping around on platforms, fighting against evil monsters while collecting objects to complete levels. 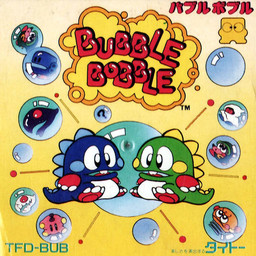 Giana Sisters, Bubble Bobble, and the Mario games aer true classics here. In Jazz Jackrabbit 2 you can play both Jazz and his brother Spaz in many entertaining and daring missions. Both characters has their special moves and the games supports several multi-player options. In Pacman youore the cheese collecting many small pieces of cheese, avoiding ghosts etc. An entertaining and very sentimental game. In Neo Sonic Universe there are two ways to play the game. Either normally - meaning completing the levels and fighting bosses. But there is an integrated 2D game, where different Sonic characters (Sonic, Knuckles, Tails, Shadow og Amy) can fight against each other. It can be difficult. There are, for example, dinosaurs that make life difficult for stone age taxi drivers with man-driven helicopters. Here you must guide your snake through a lane when it is going to gather things along its way. But you must be on guard. The forest is filled with animals and dangers that can prevent you from completing the course. The game features amazing 3D graphics, smooth animation, new concepts and multi-level scroll gameplay. In this game your mission is to navigate different objects around, close up rectangles and thereby make them disappear from the screen. The more you can remove from the screen in Volfied the better score you’ll get. With the beach-lemmings you're riding the high waves and polar-lemmings make sure of the destruction of ice. 120 levels awaiting, hurry! The levels have been rebuilt and made tougher. You have to save the princess from the clutches of the evil Jaffar who has given her 60 minutes to marry him or die. Dr. Proton is not dead yet, so what are you waiting for? Download the game and take the first flight to the moon and make sure that Dr. Proton is not around to appear in the next episode! In game you play the role of Commander Keen: an eight year-old genius by the name of Billy Blaze, who builds an interstellar spaceship from his mom's vacuum cleaner. In this episode you, again, play the role of Billy Blaze, an 8 year-old genius who's already managed to bring the Vorticons' invasion to a stop. This time, Billy receives an interstellar transmission while working on a Photachyon Transceiver (a radio that can receive signals anywhere in the galaxy). While the transmission is choppy, Billy manages to figure out that the galaxy is once again in danger, and sets out to bring and end to the Shikadi's evil plans.